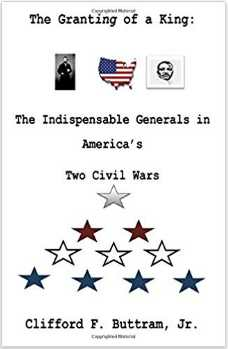 Did you know that America has fought not one, but two Civil Wars? Do you realize America may be experiencing the beginning stages of a third civil war? Did you know that Dr. Martin Luther King, Jr. embodied a General and Ulysses S. Grant bore the traits of a King in their particular civil wars? This work will illuminate the personal, social, and leadership comparisons of two American icons who were the principal victors in the American Civil War, and its successor, the American Civil Rights War. Study this historical and future narrative of how internal societal strife, cultural and racial disassociation, anger, antagonism, and caste in America bred two civil wars and may possibly harbor the genesis for a third. Dr. Clifford Fredrick Buttram Jr.